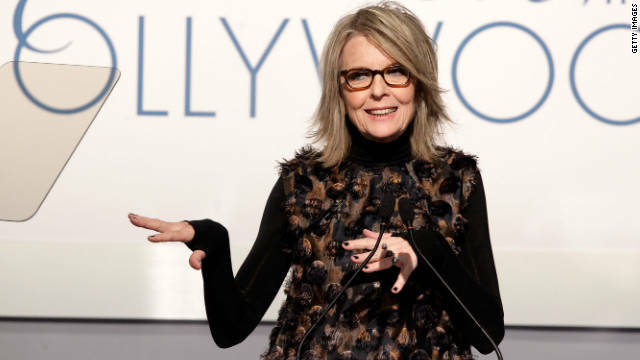 Diane Keaton dished about past beaus while discussing her memoir, “Then Again,” on "Ellen" Tuesday, and gave the low-down on the one that got away: Steve Jobs. Keaton, 65, says she met Jobs in the late ‘70s, when the late computer genius was her NYC neighbor. Steve wanted to meet the “Annie Hall” star, so she went over for a visit. But things went downhill fast. Next entry »Will women see 'The Girl With the Dragon Tattoo'? Anybody else see her melt-down on the Colbert Report? Never cared for this ding-bat. I would throw it in Diane. Boy, way to take a cool anecdote and turn it utterly dismal. Come on – it's a neat story if you care about either of the two people involved. Add to that a celebrity being humble? A fluff piece which adds something. Typical female. Wants nothing to do with a poor geek, but everything to do with a rich geek. And chicks wonder why all we care about it their furburger. Does this really surprise any man? No. How many times have we been "dumped" by a potential mate because we didn't fit into thier criteria of that moment. The fact is women think in "time now", while men think about the future. If you can't please a woman for that moment, she'll be gone in a heartbeat to find another guy. They care less about "what-if's" and only care about the moment. This is how they're wired. Nice to know you're an expert on all women.....must have been dumped alot, huh? Maybe it's because you make faulty assumptions about women. Nothing like being stereotyped. I think that's your problem. "Nice to know you're an expert on all women"
Nice to know you're such an expert on Scott. You sound a whole lot more bitter than he does. Get dumped much, do ya? See how easy it is on the Internet? Now I'm an expert on YOU. She is a tuuuurd wrangler.